WHY: LEGOLAND California Resort is inviting children and their families to break a World Record for the largest gathering of people dressed as vampires! Brick-or-Treat is LEGOLAND California's month long not so scary Halloween party! Every weekend in October, (Oct. 5 & 6, 12 & 13, 19 & 20, 26 & 27), children 12 and under can trick-or-treat on the new ten station Brick or Treat trail gathering goodies and surprises. The LEGO themed treat stations off a safe, fun and entertaining trick or treating experience for all to enjoy. Also new, the Park's Coast Cruise boat ride becomes the "Ghost Cruise", featuring a special LEGO Monsters Scavenger Hunt and storytelling experience. In addition, every Saturday in October from 5-9pm, the park transforms into a not-so-spooky Halloween celebration. Brick-or-Treat Party Nights features costume contests, nighttime trick-or-treating, festive music, entertainment and interaction with the "Boo Crew", the animated light show "Spirits of Halloween" after sundown and fireworks cap off the night at 9:00pm. 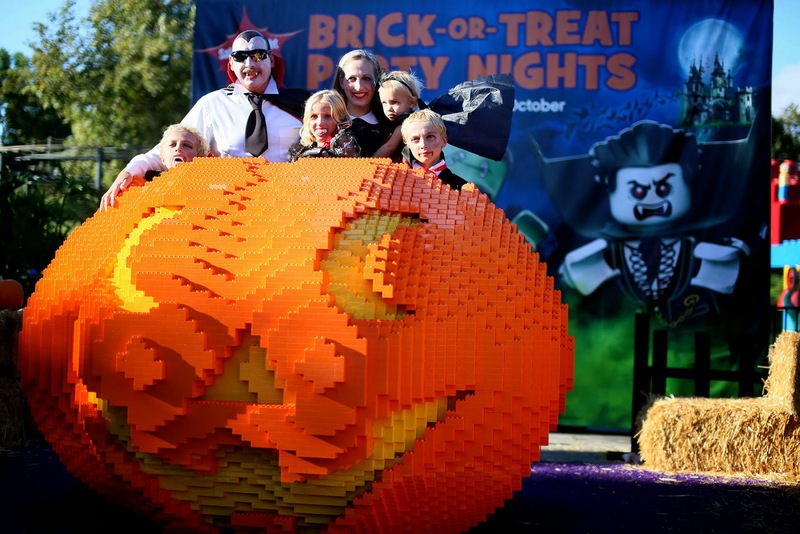 DETAILS: As part of LEGOLAND California's Brick-or-Treat Halloween celebration, the Park is inviting children and their parents to participate in the World Record Attempt. All kids dressed as vampires receive a free ticket to return to the Park between Oct. 5 and Oct. 31, 2013. All participants, including adults will be entered into a raffle to win a family four-pack of tickets and a $100 LEGOLAND gift card! So what do you need to wear? Hundreds of kids and parents dressed as vampires!!! Members of the "Boo Crew"
Check out last years attempt! DISCLAIMER: This is not a sponsored post. All thoughts and ideas are my own.